This month, as most of us know is Pregnancy and Infant Loss Awareness Month. And, only eight days in I am working hard to hold the space to honor the paradox of the sadness and the pride I feel seeing so much talk about pregnancy and infant loss in the media and on my social media walls. Because there is enough room for both. Infertility, pregnancy and infant loss have lifelong costs. 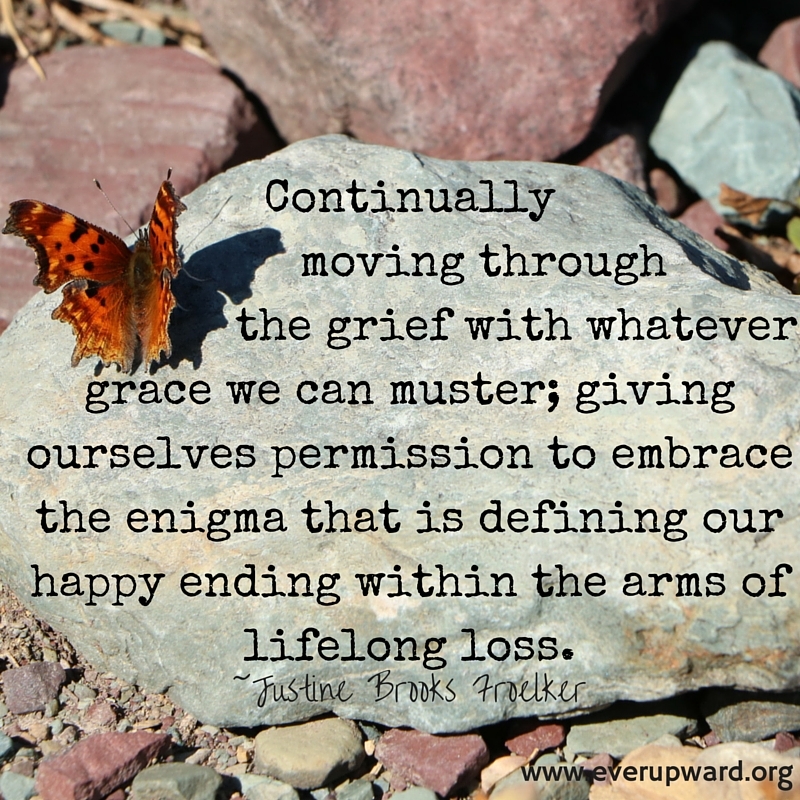 We will spend the rest of our lives continually moving through the grief with whatever grace we can muster in that day. Choosing to give ourselves permission to embrace the enigma that is defining our happy ending within the arms of lifelong loss. Use coupon code OCT15 here to get $5 off your signed copy of Ever Upward and support Share Pregnancy and Infant Loss Support!